The National Institute on Drug Abuse, a US federal government research institute whose mission includes "bringing the power of science to bear on drug abuse and addiction," has officially admitted that marijuana extracts can kill cancer cells. 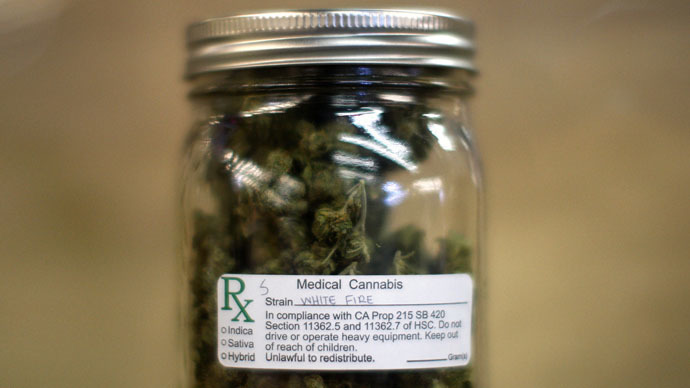 "Recent animal studies have shown that marijuana extracts may help kill certain cancer cells and reduce the size of others," the NIDA report stated, adding that evidence from "one cell culture study suggests that purified extracts from whole-plant marijuana can slow the growth of cancer cells from one of the most serious types of brain tumors." The study, published in the Molecular Cancer Therapeutics journal in November, discovered that cannabis helps "dramatically reduce" the growth of new brain cancer cells. "The benefits of the cannabis plant elements were known before but the drastic reduction of brain cancers if used with irradiation is something new and may well prove promising for patients who are in gravely serious situations with such cancers in the future," Dr Wai Liu, Senior Research Fellow and lead researcher on the project, said. Policy manager at the Drug Policy Alliance, Malik Burnett, told VICE News that NIDA's recent admission about the efficacy of medical marijuana, coupled with the US Department of Justice's vow to continue cracking down on the drug, is akin to a "major hypocrisy" by the government. "We have the Justice Department continuing to threaten patients with arrest and prosecution in spite of the fact that Congress has voted to prevent the Justice Department from interfering with states that have passed medical marijuana laws," Burnett said. "These are all just parts of the major hypocrisy within the federal government when it comes to the issue of marijuana."